She is a successful and acclaimed author, a loving wife and the world’s best Mom, as told by her daughter. Her Doctor Husband dotes on her, her teenage daughter idolizes her and her readers yearn for her writings as soon as they finish reading her latest book. She has all the happiness and respect of the world, yet she is devoid of inner peace. In the wee hours of night, her slumber is disturbed by horrifying nightmares. All her harmony is abducted and seems to be lost amidst the bunch of hidden letters kept in her cupboard. 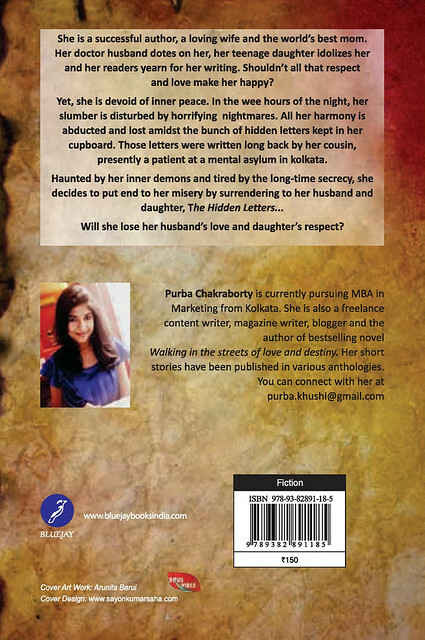 Those letters were written, long before by her cousin who is at present, a patient of a mental asylum of Kolkata. Haunted by her inner demons and tired by the long-time secrecy, she decides to put an end to her misery by surrendering the hidden letters to her husband and daughter. 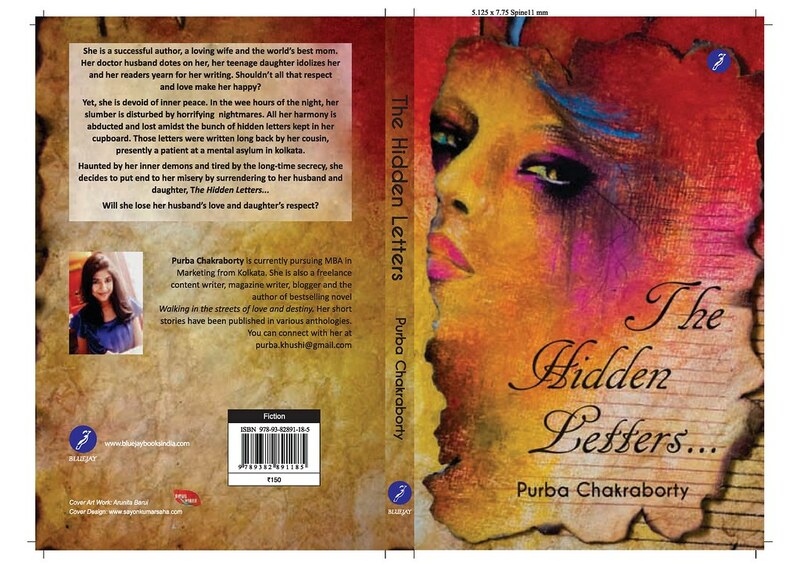 Will she lose her husband’s love and daughter’s respect, once she unveils the hidden letters? Can she forgive herself for her own selfishness, which is somehow responsible for her cousin’s malignant fate? Did she fail to follow her own principles by trying too hard to become a good wife and a good mother? Post by Soul Vibes Records. 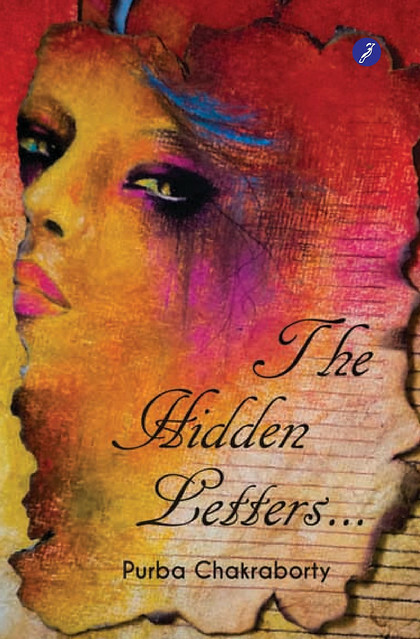 “The Hidden Letters” tells the story of a successful middle aged author who is haunted by some implacable mistakes that she had committed in her past. Those mistakes are alive in the form of some letters inside her cupboard. Despite getting an abundance of happiness and success, she is completely deprived of peace. An unexpected encounter with her past compels her to stand at the crossroad where she has to choose either happiness or peace. 2. How did the stuff hit your mind? Every now and then, we come to a situation where we have just everything and still feel that something is missing. That something is peace. Getting happiness is quite easy but finding tranquility within is quite tough. We all have so many layers of our personality. No one among us is completely transparent but the more we camouflage our truths in front of our loved ones, the more we distance ourselves from peace and harmony. This concept made me hatch the plot for this book. 3. What all challenges you faced & how did you overcome them? First of all, getting into the skin of a forty-five year old woman was a little tough as I am almost half her age. Understanding her trauma, quandaries and mentality were challenging. Initially I thought I can’t pull it off but then I recollected my mother’s body language and mannerisms. I interviewed Dad about Mom and his relation since the day they got married. I am sure that apart from the rigorous research, Mom’s blessings helped me overcome this challenge. 4. How much did this project help your art grow? A lot you know. If I can call myself an author today, it’s because of this book. When I wrote my first book, I never considered myself an author. I had a story to tell the world and so I decided to write the book. I never even had plans to take writing seriously. But writing “The Hidden Letters” was a completely different experience for me. I had to research a lot for the book about Alzheimer’s disease and other important things. I went through some really emotional moments while penning down this book. I still remember the day when I cried for about five minutes after competing writing a chapter of this book. I have created the protagonist of this book, but Mrs. Anaya Chatterjee also shaped me the way I am today. I think she will always be one of my favorite fictional characters. After completing this book, all I wanted to do is to continue writing forever. I am currently working on my fourth book. I also plan to release my third book “My Twitter Crush” very soon. It is a light-hearted novella targeted to the young readers. It is an urban romantic comedy that revolves around Twitter. Apart from that, I am also doing a creative writing course now to hone my writing skills. I want to try my hands on script writing and screenplay in the near future. 6. How much your fans are expecting out of this collaboration? The cover of the book is like a perfect dream cover. Arunita had sent me a portrait of a mysterious woman which she had painted some time back. It enthralled me so much that I could not keep that woman in the painting out of my mind. The painting haunted me as the lady in it was so similar to the protagonist of my book. Thanks to the entire team of Soul Vibes Records for the amount of patience and dedication they exhibited in making the cover of the book. I have got a tremendous positive response after releasing the cover. I am sure that the cover will tempt even the non-readers to buy and read the book. This collaboration is definitely a boon for me and my fans are extremely happy. Process Executive at Cognizant Technology Solutions. Publisher: Bluejay Books Pvt. Ltd.
Purba Chakraborty is currently pursuing MBA in Marketing from Kolkata. The author speaks about her new book in her blog, Love, Laugh and Reflect! Order your copies at: Flipkart, Amazon, Infibeam, Homoshop18!